Prestige Distribution, Inc. furnishes and installs Bobrick Sierra Series toilet partitions, an ideal choice for high traffic restrooms due to its superior durability and repairability. Made of Solid Color Reinforced Composite (SCRC), a uniform composite of cellulose fibers, dyes, and resins, it is graffiti-resistant and features the ultra-hard GraffitiOff surface, making it impervious to "ghosting" after graffiti removal. Reinforced with polycarbonate and phenolic resins, the Sierra Series toilet partitions are scratch, dent, moisture, impact resistant. Its solid color throughout allows for easy repairs. 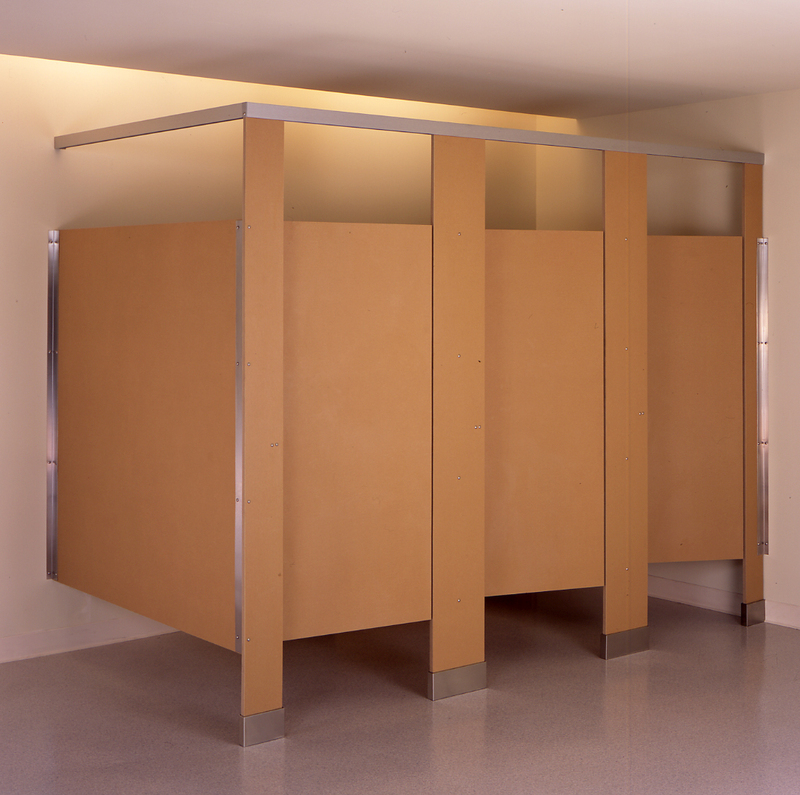 Additionally, factory installed threaded inserts make installation of Bobrick Sierra Series toilet partitions a breeze. This product is GreenGuard Indoor Air Quality Certified and contributes to LEED Certification. Bobrick Sierra Series Toilet Partitions come with an industry-best 25-year warranty.